A lost pet is a frightening situation with often devastating consequences. According to the American Humane Association, about 10 million dogs and cats are lost or stolen every year. A study published by the American Veterinary Medical Association revealed that dogs with microchips were 238% more likely to be returned to their families than dogs without them. For cats, the statistic is even more dramatic: those with microchips were 2,000% more likely to be returned home. 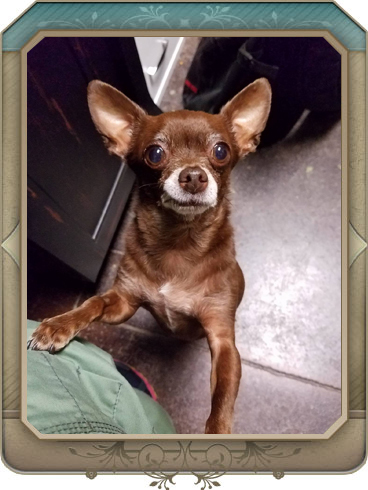 This is why the entire veterinary team at North Paws Veterinary Clinic considers microchip lost pet IDs a fundamental way to protect your pet and an important part of responsible pet ownership. We use the HomeAgain microchip system. Each microchip registers the animal with a unique identification number, which is filed in a database with your contact information. The contact information can be updated any time, and it is important to remember to do so whenever your information changes. If your pet is lost, the microchip can be scanned by animal control officers, at shelters, and at veterinary hospitals in the U.S. and in many foreign countries. HomeAgain membership offers additional benefits such as proactive pet recovery and free access to ASPCA Poison Control. HomeAgain also comes with a number of useful services to pet owners, such as their National Pet Recovery Database, Lost Pet Specialists, Rapid Lost Pet Alerts, Lost Pet Medical Insurance, Travel Assistance for Found Pets and more. This safe, reliable, and permanent pet identification takes less than 10 seconds to implant and can save you and your pet days, weeks, or more of fear and anguish. As the prescribing veterinarian for your pet's medications we can ensure there is a direct link between the exam room and our pharmacy. This means your pet will receive the right medication, at the right dose, in the right form as quickly as possible. We can also easily guide you on the medication's use and monitor its effectiveness. 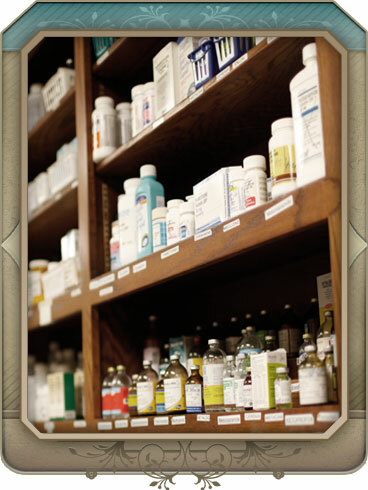 We maintain a complete inventory of pharmaceuticals, vitamins, shampoos, flea and tick control products and heartworm preventatives to meet the needs of your pet. We also carry a full line of prescription diets. Ensuring you have convenient and timely access to competitively priced medications is an important aspect of our veterinary practice. Refills are easy, too! You can either contact North Paws Veterinary Clinic or refill them online. For many pet owners, even thinking about their pet's final days is difficult and emotional. Our animals are a part of our family. It is this strong bond that makes this time particularly hard to bear. We encourage you to talk with our veterinary healthcare team about these issues before they become an urgent matter. Find out about your options, including our crematory services, make some key decisions ahead of time, and ask us to add this information to your pet's record. Taking the time to plan, as challenging as it may be, will lessen the pain and stress for you and your pet. All of us at North Paws Veterinary Clinic will do our best to help you prepare for these important issues with the compassion and sensitivity they require. If you would like more information about the pet owner services North Paws Veterinary Clinic offers for your pet or to schedule an appointment at our animal hospital in Maple Grove, please contact us.